Pedazo de resumen del viajecito. Enhorabuena campeón. La foto del lobo se ve genial. Buena crónica! Que envidia me dais! 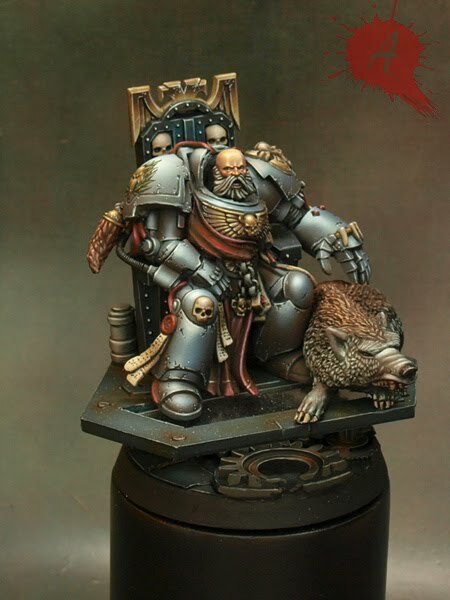 Te cagas con el Lobito... creo que es tu mejor marine, con diferencia!, merecido Individual de 40k, Felicidades! thank you for your word about us! was a real pleasure to make you feel good here! i really hope to meet you again as soon as possible! congratulation for your prize, and sorry for my "river of word" ahahaha, i think i destroy your head ehehe! do not thank me Fra, we must Thank you because you didn't have to do all of this for us, but you did it as well, it's amazing to go Italy and be welcome as we did.